Last week, Paste revealed that The Clash’s 1979 masterwork London Calling would be available as downloadable content for Rock Band 3 starting on Feb. 1. That announcement, combined with the recent reunion of Mick Jones’s post-Clash group Big Audio Dynamite, has given us a convenient reason to put together a best songs list for these famed English punk rockers. After much deliberation, we finally settled on chosing the best 18 songs by The Clash. We chose 18, rather than a nice round number like 10 or 20, because that’s how many songs are on the double LP London Calling. 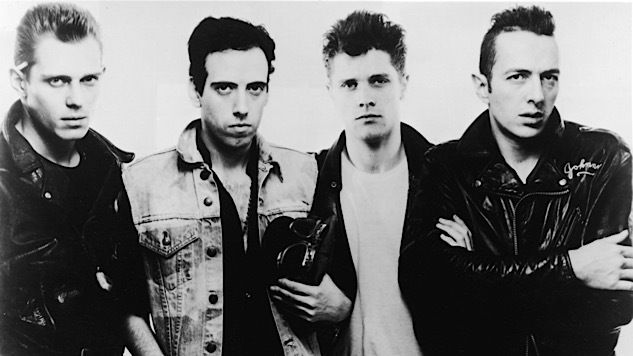 But enough of our reasoning behind the list—here are our picks for The Clash’s 18 best songs. While this song may sound familiar nowadays thanks to M.I.A., it stands as one of the many outcries by the Clash against injustice. This one concerns the abandonment of children fathered by American soldiers overseas during the Vietnam War. The Clash’s six-plus minute cover of Junior Murvin’s reggae classic was one of numerous fusions by the band incorporating punk and reggae together. The album opener off The Clash [UK Version] even went so far as to get prominently featured as a Californication character named after it. As one of the most famous Clash singles, “Should I Stay Or Should I Go” has permeated pop culture in countless way from Rolling Stone to Rock Band and everything in between. The opening chords from the band’s eponymous album define punk’s raw simplistic power. The Clash’s call-to-arms for the youth to fight the status quo.